Special Collections Spotlight: Who Knew? I chose this book because I don’t know much about the Vietnam War, but I wanted to read personal stories from the conflict. Its contents are very emotional and often surprising. Watts’ reflections reminded me that my grandfather said he would take cut out sports articles from the newspaper and send them to his friends stationed in Vietnam. Any student with an appreciation for history who would like to see a very unique perspective of a very tenuous episode in America’s past would find this book fascinating. Compiled by Bill Westbrook and John Hurt Whitehead III, Rural Virginia was published in 1974, and is a collection of photographs of rural life across Virginia. 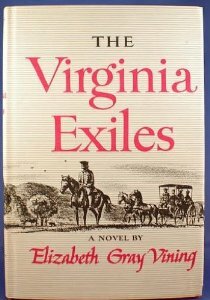 I found the book fascinating because it also contains the words of rural Virginians, such as one man who said “I can’t read or write much, but I learned more here at the mill than I ever learned at school. 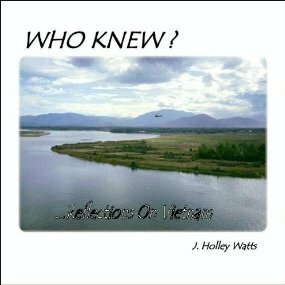 I learned how to count a dollar and keep it.” This book would certainly appeal to the environmentally conscious, as it offers a look at the former composition of Virginia’s countryside. Indeed, while flipping through Rural Virginia, I found myself wondering how much of the landscape shown has remained untouched or unaltered. The Last Lecture is an autobiography of Randy Pausch, a professor at Carnegie-Mellon University in Pittsburgh who was diagnosed with pancreatic cancer in 2006. The book is part of the Virginia Authors Collection because its author, Randy Pausch, lived in Virginia for the last year of his life. After his diagnosis, Pausch realized that he could have either a negative or optimistic outlook in relation to his life. He decided to savor life’s pleasant moments, cherishing the time spent with his wife Jai and their three young children. Although Pausch died in July 2008, most readers will find his story as inspiring as I did. Many college students (myself included) can begin to feel overburdened by academic or social stresses. Pauch’s advice to live each day and cherish each experience to the fullest can renew students’ lowered motivation and imbue them with excitement for the future. This book peaked my interest because of the subject matter. The Battle of Sailor’s Creek has always interested me during the American Civil War because of the small amount of information that is normally provided in histories of the American Civil War about this battle. Another point that I noticed after choosing this book is that the author was the same first name as I do, right down to the spelling. The book is about Bosnia and the administrations diplomacy towards that country. 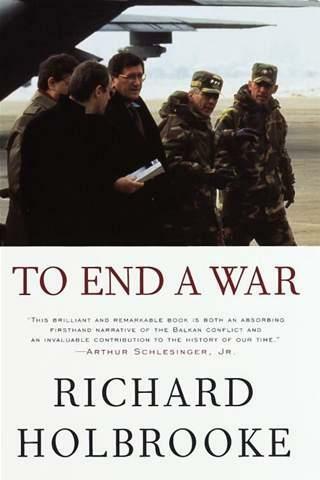 Books about diplomacy tend to be boring and dry, but this one makes you feel like you are there listening to the debates, phone calls, arguments and compromises that took place. Definitely a must read! Special Collections Spotlight Week: It’s a Two-fer! This week is Special Collections week! We’ve been saving up some of our reviews to publish every day this week. 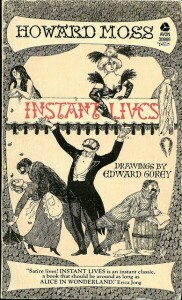 Instant Lives by Howard Moss is located in the Edward Gorey Collection because Gorey illustrated the book. The Special Collections Department also has several works signed by Gorey himself. I wanted to see if the work is as strange as Gorey’s writing, since he only illustrated this. I found this fictional compilation of humorous biographies very funny, and not oddly strange. Moss invents a story in which Beethoven named a piece of music for his nagging son who lazily complains about his lack of recognition. The author also claims to have read an unpublished work of T.E. Lawrence titled Omar in the cafeteria of the British Museum. Students should read this thin book if they simply want to relax and read something humorous. Those who love to laugh will like Moss’ work in Instant Lives. This book is in the Virginia Authors’ section because its theme concerns Virginia. 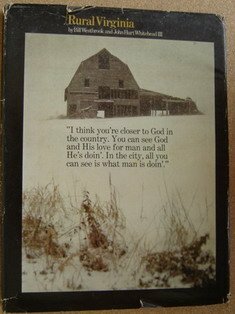 Written by Elizabeth Gray Vining (A Pennsylvania native) and published in 1955, this work of fiction details the life of Caleb Middleton, a Pennsylvania native and a member of the Society of Friends (The Quakers). After his family is banished to Virginia during the Revolutionary War, Caleb falls in love with a girl in his new surroundings. I think it’s interesting because it combines history and romance, even if the history is sometimes less than realistic. Still, those who are interested in history and/or romance would probably find this book interesting. While in Special Collections, a book in the Inscribed section entitled “Trickster” stood out from the rest. 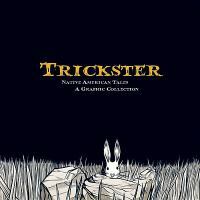 Compiled and edited by Matt Dembicki, it tells American Indian stories through the use of illustrations. It’s a graphic novel, presented like a comic book. However, the subject matter is more serious, and the book begins with a tale describing how the stars were made and why coyotes howl. This book is in Special Collections because it’s signed. It is interesting to read because it grants a different aspect to viewing an often-ignored culture. Also, it might be useful for younger readers who have trouble visualizing written or spoken allegories.